Cooter Cat Walk! An all new high-fashion high energy Drag event. 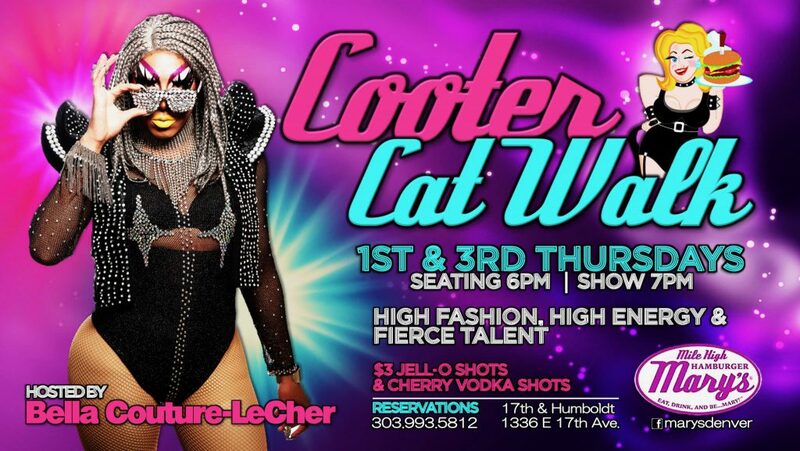 Hosted by Bella Couture-Le Cher with a rotating cast throwing high-fashion looks! Come live, laugh and look sickening with us!